Sixty years ago on Sunday the Dalai Lama fled Tibet under the cover of darkness, disguised as a soldier. Amid an uprising against Beijing in Tibet, the Buddhist leader was invited by a senior Chinese general to watch a dance performance. The unexpected invitation set alarm bells ringing for the Dalai Lama and his senior advisors, who quickly devised an escape route: cross the Himalayas on foot to seek asylum in India. It also set off a chain of events that Beijing likely could not have predicted, and surely did not intend. Why did the Dalai Lama flee? 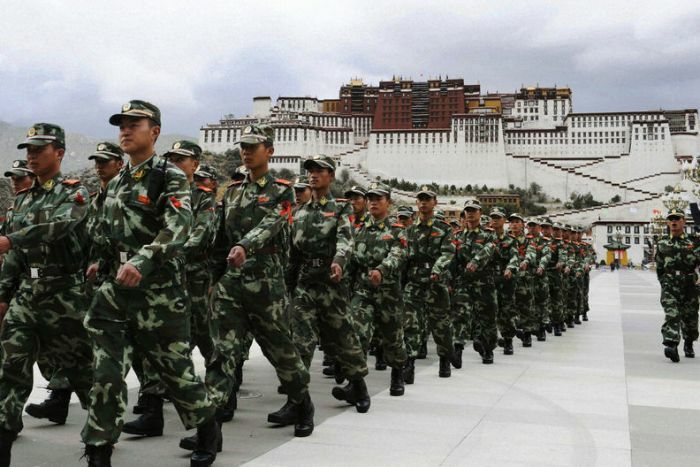 Chinese troops invaded Tibet in 1950 and formally incorporated the region into its territory the following year, a source of ongoing controversy to this day (Beijing calls it a “peaceful liberation”). Tibet’s government, with a then-teenage Dalai Lama at its head, signed a treaty that professed to preserve Buddhism and Tibetan autonomy. A resistance movement soon emerged in opposition to Chinese rule, and on March 10, 1959, thousands of people surrounded the Dalai Lama’s palace to protect him against what they believed was an imminent kidnapping or assassination threat. Beijing suppressed the uprising with force, and thousands of people were reported killed. 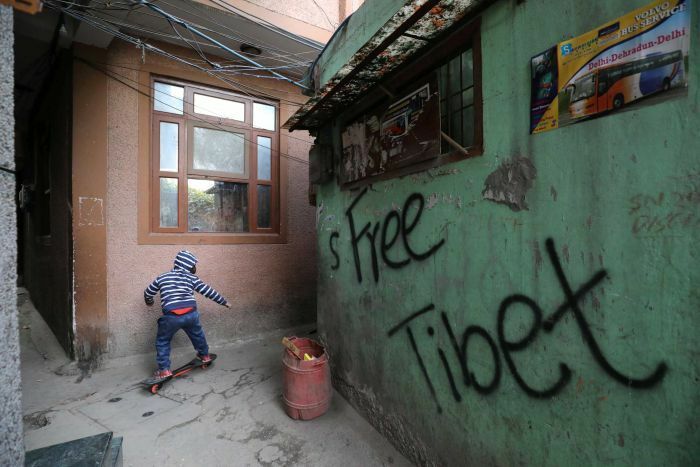 But China — which says Tibet has been part of its territory for centuries, a claim Tibetans refute — has long defended its rule there, attacking the Dalai Lama and touting its economic development. The people of Tibet are “extremely grateful for the prosperity that the Communist Party has brought them”, Tibet Party Secretary Wu Yingjie told reporters ahead of the anniversary. 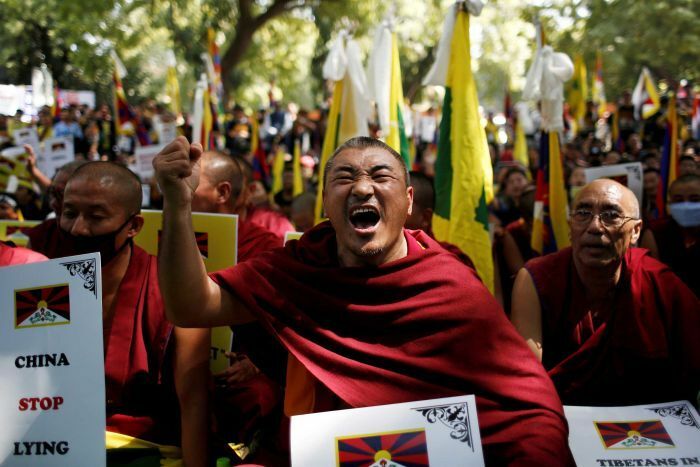 What did it mean for Tibetans? Some 80,000 Tibetans fled during the crackdown, including Melbourne-based religious leader Zatul Rinpoche. As an 18-year-old, he says he walked for several nights through mountainous terrain to reach Nepal. Tibetans accuse China of ratcheting up repression in the years that followed, and there have been several outbreaks of unrest and protest against Chinese rule in the intervening years. For those who stayed behind, the absence of the Dalai Lama left a vacuum that’s been impossible to fill. “It created a huge emptiness for people. He was undoubtedly the most important person in Tibet, and still is for most Tibetans,” said John Powers, a professor at Deakin University who specialises in Tibetan Buddhism. China disputes this, too, with Mr Wu claiming the Dalai Lama hasn’t done a “single good thing” for Tibet since he left. How has it changed Buddhism? From his base in Dharamshala, in the Indian state of Himachal Pradesh, the Dalai Lama has spread Buddhism’s message far and wide — and garnered support from followers globally for the Free Tibet movement. He has embraced technology, with a comprehensive website and a larger Twitter following than the Pope (19 million vs 17 million), despite there being an estimated 500 million more Catholics in the world than Buddhists. 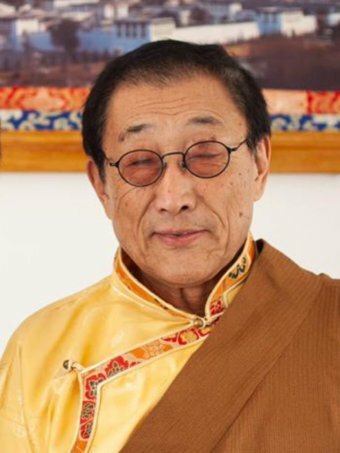 Chope Paljor Tsering, a former minister in Tibet’s government-in-exile who now lives in Canberra, told the ABC he felt that “Buddhism has not only survived, but been revived and appreciated … by many cultures around the world”. For its part, Beijing has simultaneously clamped down on Tibetan Buddhism while sporadically promoting China as the centre of Buddhism. Dr Powers said China had unsuccessfully used a “patriotic education” campaign in an attempt to reshape Tibetan interpretations of Buddhism and convince Tibetans of their love the Chinese Communist Party (CCP). And overseas, he said, many Buddhists have viewed pro-Tibet activism as intrinsically interlinked with their religious practice. “That was a natural constituency for the Free Tibet movement,” he said. With the Dalai Lama now in his 80s, the battle between China and exiled Tibetans over Buddhism’s future is heating up. Traditionally, once the Dalai Lama dies (there have been 14 to date), the next is found — rather than chosen — in a lengthy search by the High Lamas, as he is believed to be able to select the body he reincarnates in. Generally, but not always, that has been a young boy in Tibet. However, with the political situation there remaining tense, the current Dalai Lama has suggested the next incarnation will be found outside Tibet, or that perhaps he (or she) won’t be found at all. “There is no guarantee that some stupid Dalai Lama won’t come next, who will disgrace himself or herself. That would be very sad,” he told the BBC in 2014. “So, much better that a centuries-old tradition should cease at the time of a quite popular Dalai Lama,” he added, though he has also said the decision must ultimately be up to the Tibetan people. But Chinese authorities want to ensure that the next Dalai Lama is from inside the country, saying they will select a candidate instead. This has a historical precedent: In 1989, China detained the Panchen Lama — the second most important position in Tibetan Buddhism — shortly after he was identified by the Dalai Lama, and he not been seen since. The government selected a Beijing-endorsed replacement whose family is loyal to the CCP. According to Dr Powers, the government would follow the same script by appointing a “puppet Dalai Lama”, while a rival leader outside the country would be recognised by Tibetans. “The Tibetan exile government is already making plans for this, and they’re going to follow the traditional procedures, and the Chinese government is probably going to make up its own procedures,” Dr Powers said. The government of the Tibet Autonomous Region did not respond to a request for comment.